Why Buy From #1 Cochran Kia? At #1 Cochran Kia there is no nonsense or high-pressure sales. Quite the contrary. We believe that the role of our salesperson is to make the car buying process easy, not to sell you a car. The result is a laid-back, relaxing environment where you can feel comfortable. If you see something you like, our team will get the process rolling quickly and efficiently. #1 Cochran Kia is your place for all things automotive in the area. In addition to our great selection of vehicles, Cochran Kia is also home to a dedicated service department. There, our team of Kia factory trained and certified service technicians provide a wide range of maintenance and repair services. While the Kia brand is our passion, we proudly work on all vehicle makes and models, even if you didn’t purchase your vehicle from us. Welcome to #1 Cochran Kia of Robinson, where we truly care about our customers across Pittsburgh, PA, and beyond. As a proud member of the #1 Cochran Automotive group, our breadth of offerings and attention to detail helps us provide a car-buying or -servicing experience that you can trust. Our award-winning, homegrown Kia dealership in Pittsburgh, PA, is family-owned and -operated, and you’ll be welcomed in the Cochran family regardless of your reason for visiting us. 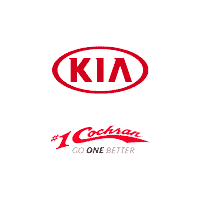 Stop by today and Go One Better with #1 Cochran Kia of Robinson. If you’re looking for a new Kia in Pittsburgh, PA, or anywhere else in the Greater Pennsylvania area, come to #1 Cochran Kia of Robinson and find exactly what you’re looking for. From new Kia Forte and Optima sedans to the dependable and well-equipped Kia Sorento SUV, we have everything you need at our hometown PA Kia dealer. And if you’re shopping for a Kia on a budget, know that #1 Cochran Kia of Robinson has plenty of used Kia models for sale, as well as pre-owned vehicles from other makes. Whatever Kia sedan or SUV you want to get the keys to, our Kia financing department is filled with financial experts who will help you lock down the perfect Kia lease or loan. #1 Cochran Kia of Robinson isn’t just focused on Kia sales, as Pittsburgh Kia drivers visit us time and time again for routine Kia service and maintenance. Need a Kia oil change, tire rotation or engine check? Our certified Kia service technicians can handle all these jobs with ease, as well as more extensive Kia collision repairs. We use OEM Kia parts whenever we can to ensure your vehicle is operating as smoothly as possible. We’re always here to help at #1 Cochran Kia of Robinson! #1 Cochran Kia of Robinson is conveniently located at 5200 Campbells Run Road in Pittsburgh, PA, and we’re easily accessible from surrounding cities like Moon, Robinson Township and even Weirton, WV! Stop by our homegrown dealership and see how we Go One Better over other Pittsburgh Kia dealerships.